Our estate agents in Selly Park will give you an award-winning service, regardless of if you are selling, buying or letting. Our experienced team of professionals are driven to provide the highest level of customer satisfaction. We offer a wide range of professional property management, agency and consultancy services across the commercial and residential sectors, for both investors and occupiers. We will put at your disposal our knowledge and expertise of the area to enable you to make the right decision on your sale, purchase, rental or management. We specialise in lettings, sales, property management and property investment in Selly Park and the surrounding areas. We combine traditional methods of estate agency with a modern approach. As specialists we are fully focused on the priorities and the needs of our clients, our loyalties are equally divided between lettings and sales. Our estate agency covers the entire local housing market as well as homes in all surrounding districts. Please browse through our properties for sale in Selly Park to see exactly what we have on offer. We deliver a professional, dedicated and bespoke service when either selling or letting your property. As an estate agency we pride ourselves on being flexible and hardworking. We put you the customer first and with our blend of high street branches and extensive internet marketing, including Rightmove, Zoopla and many other websites, we ensure your property achieves the exposure it deserves. Our main aim is to achieve you the very best possible price when either selling or letting.  Here at Love Your Postcode Estate Agents we will support and guide you at all times.